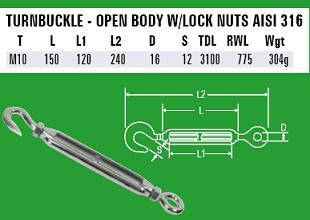 When choosing a tensioner you have two main types. 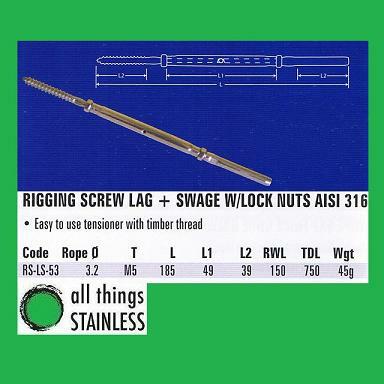 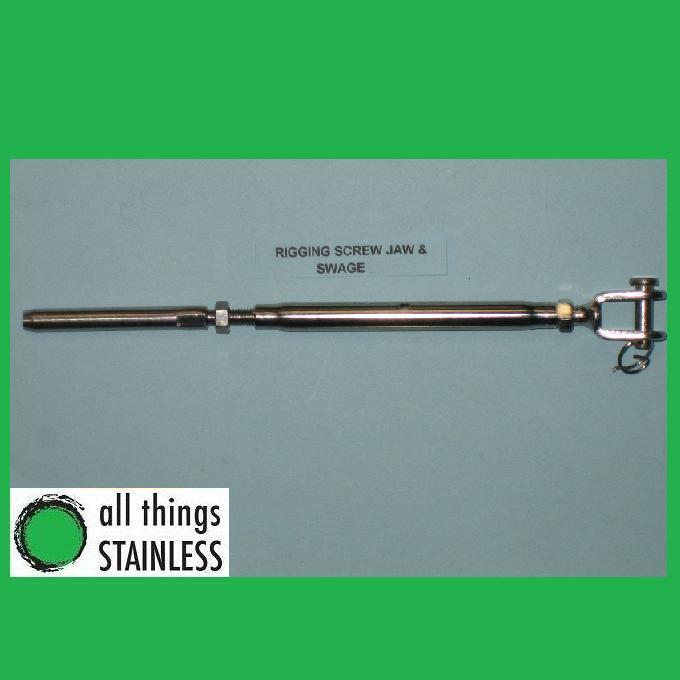 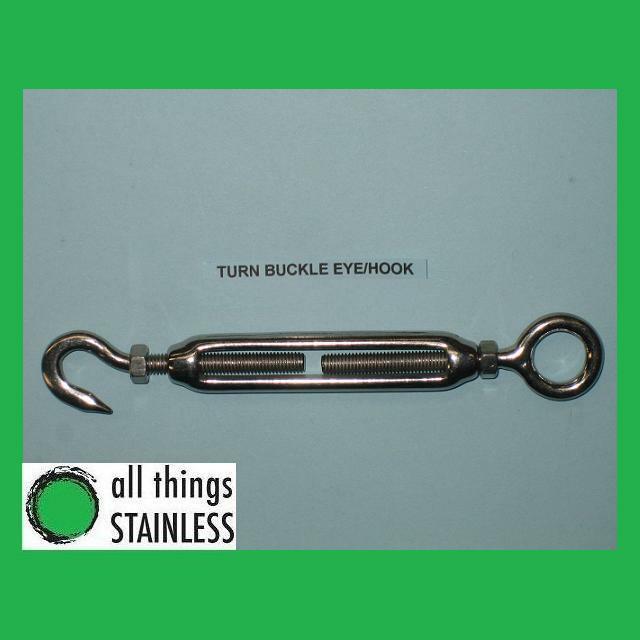 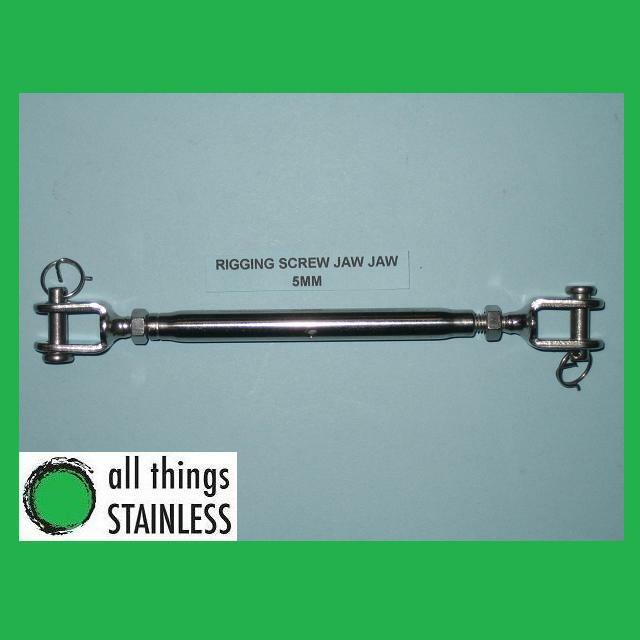 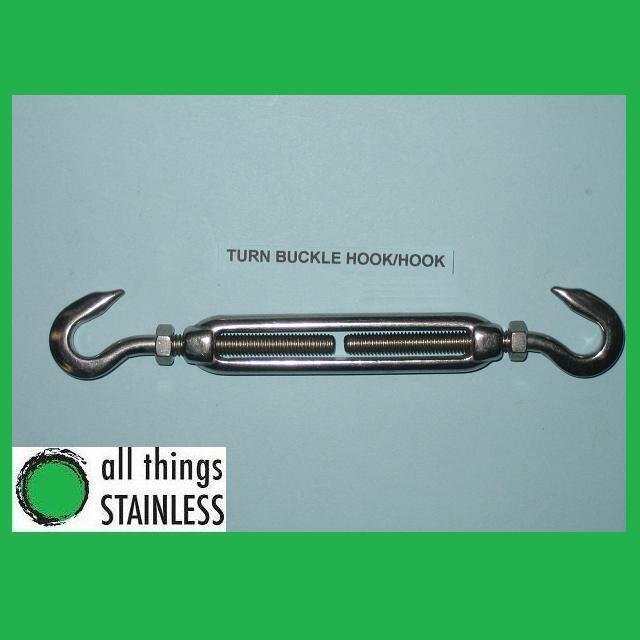 You can either use a Stainless Rigging Screw or a Stainless Turnbuckle . 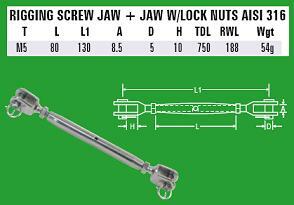 A Rigging Screw (or Bottlescrew) has a barrel type body that hides the thread inside. 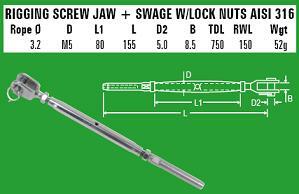 This is a more streamline fitting. A Turnbuckle has an open body exposing the thread. 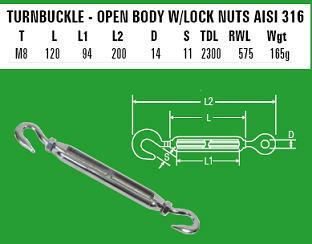 Both Rigging Screws and Turnbuckles use the same principle of operation. 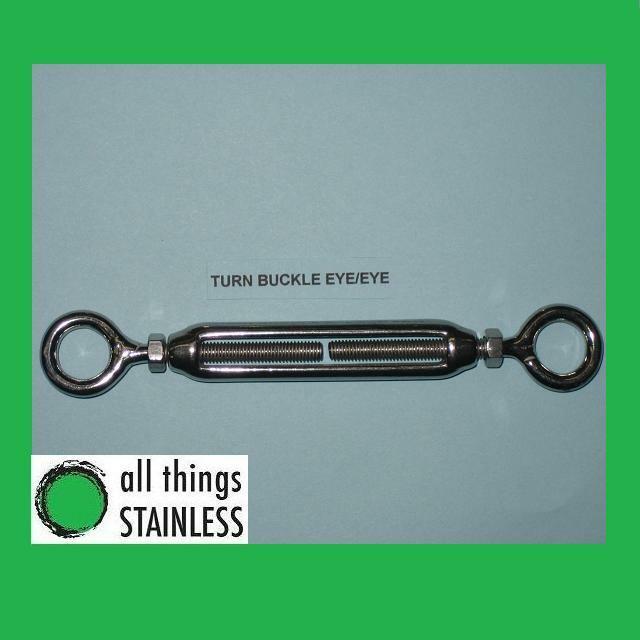 There is a left hand thread on one side and a right hand thread on the other. 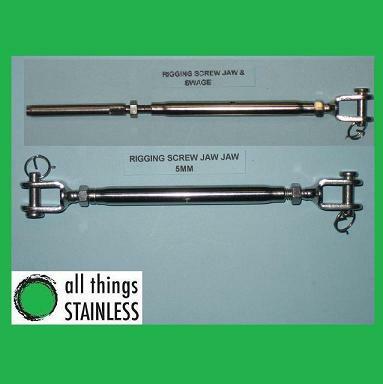 As the middle of the fitting is twisted in one direction the fitting will extend in length. 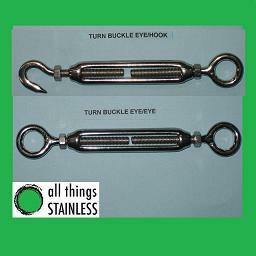 When it is twisted in the opposite direction the fitting will shorten in length.